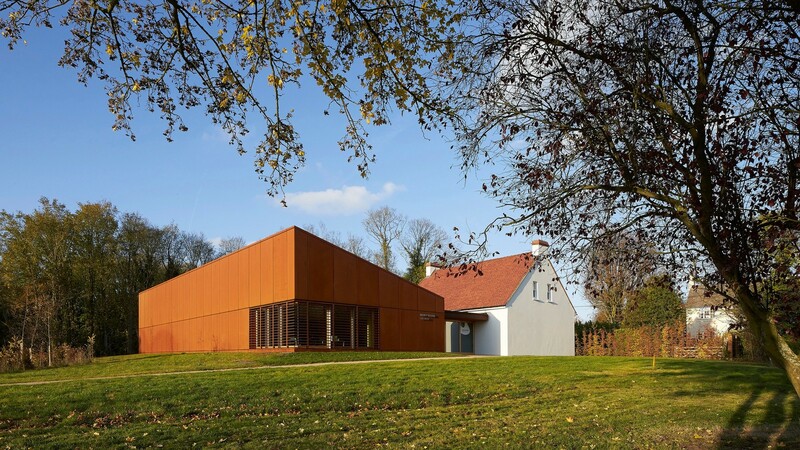 The Henry Moore Foundation was founded in 1977 to encourage public appreciation of the visual arts. 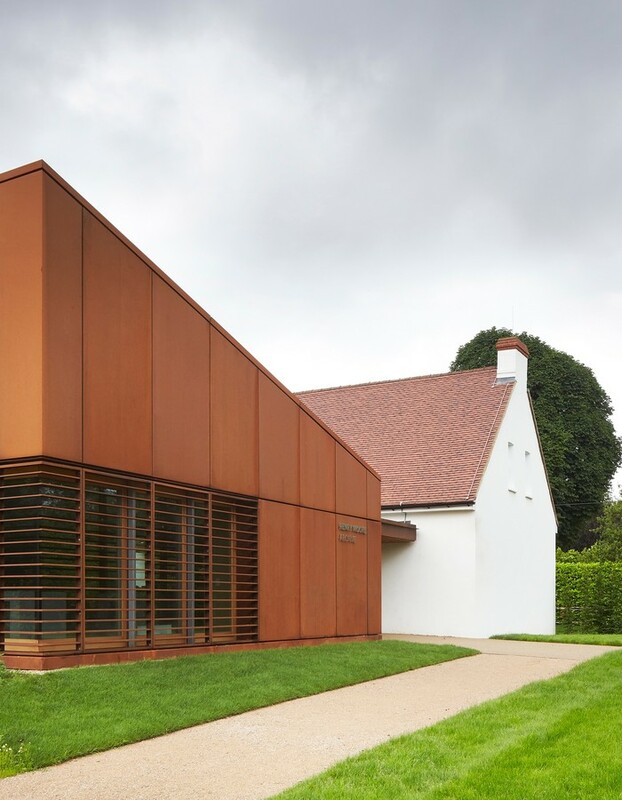 Despite careful preservation of landscape and buildings at Moore’s home in Hertfordshire, the Foundation’s activities had outgrown their facilities and required updating. 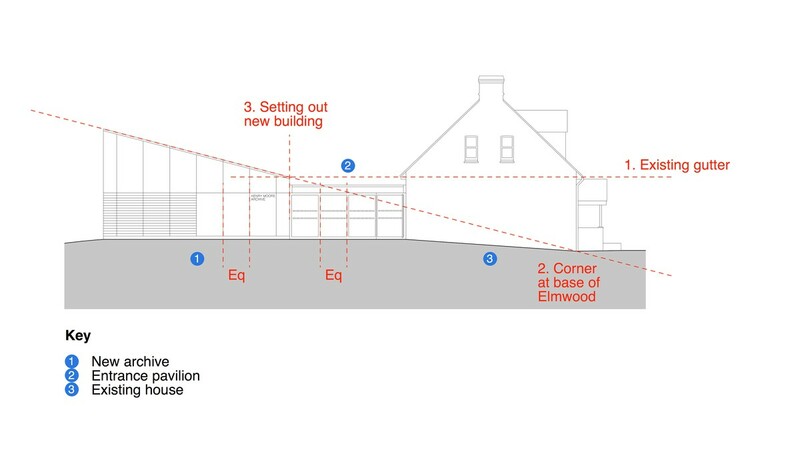 The project brief required re-use and extension of two buildings. 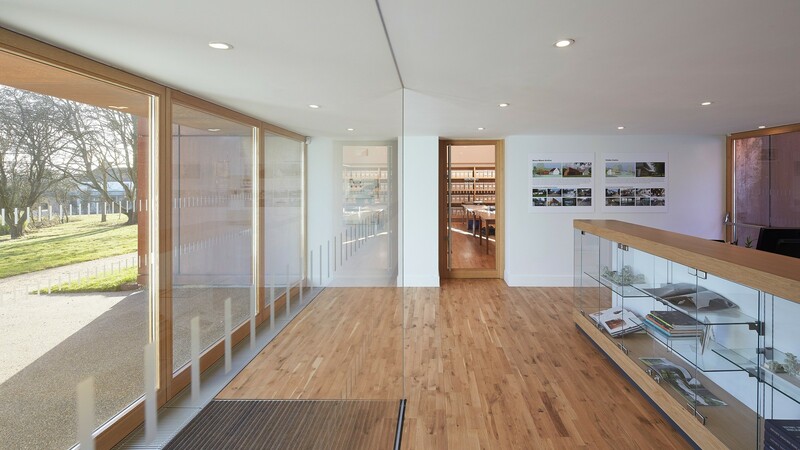 One (Elmwood) provides an archive for the artist's books, letters and photos and the other (Dane Tree House) contains a visitor centre and the Foundation’s offices. 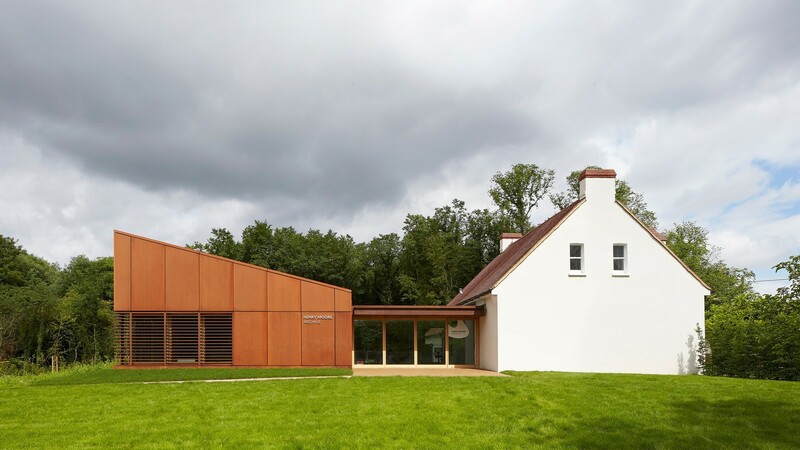 They were developed as a single project but in different materials to reflect the eclectic nature of buildings on the estate. The buildings are linked by a common approach to detailing, landscape and building services. Moore has often been described as parsimonious, making do with what was found. 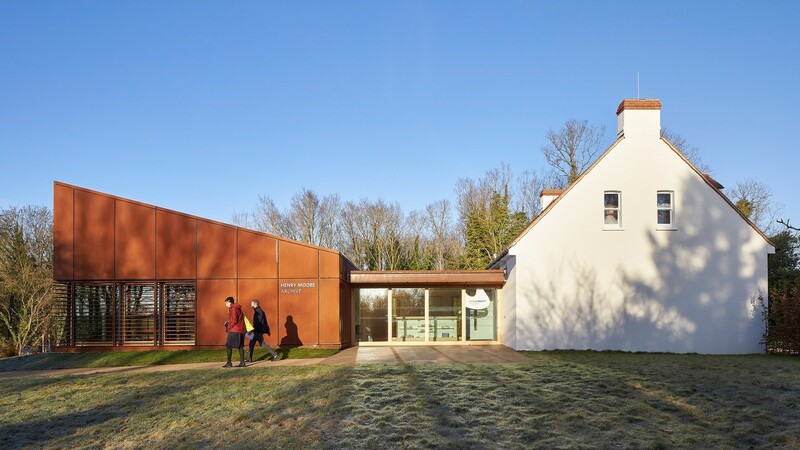 This approach is reflected in the decision to re-use buildings rather than make new. 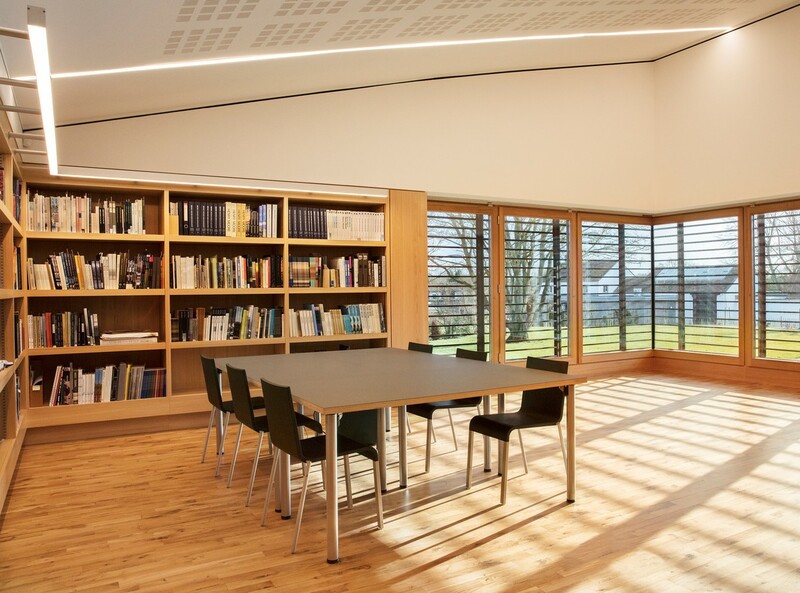 Elmwood contains BS5454-compliant archive spaces, a wood-panelled reading room with garden views and a glazed reception connected to the refurbished original building. The main body of the archive is rectangular in plan with a monopitch roof whose geometry was generated from study of the existing building. 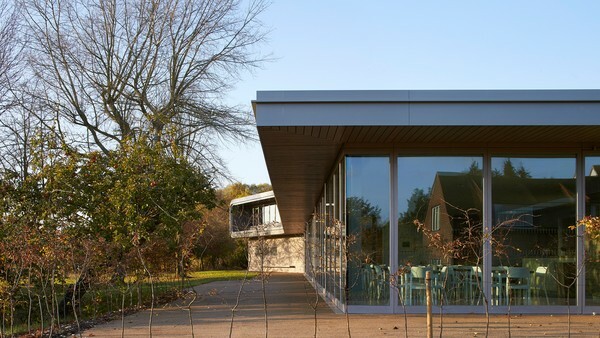 The Euclidean approach defined the space between existing and new buildings and the proportions of the new wing and connecting glazed pavilion. 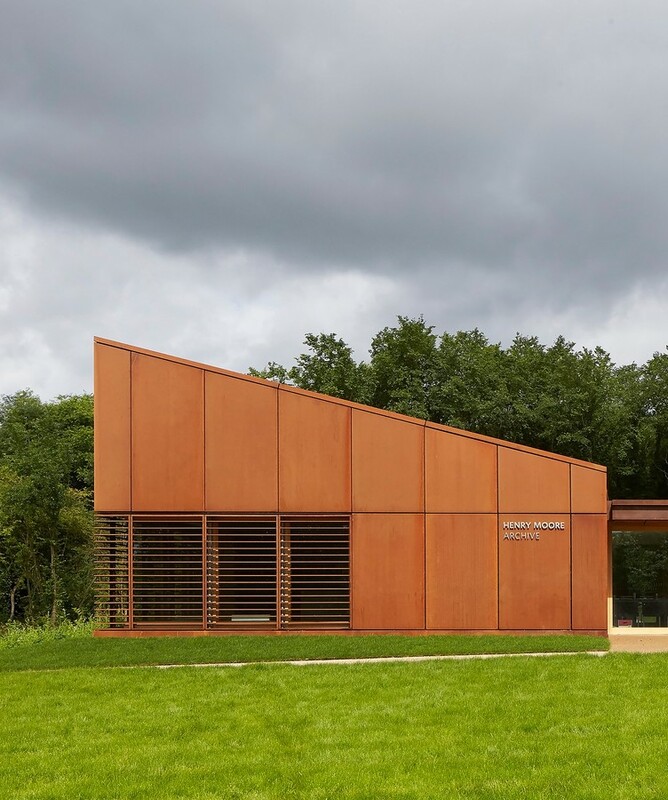 The extension is clad in Corten steel, selected to suit the deciduous woodland setting and for its graceful aging properties. 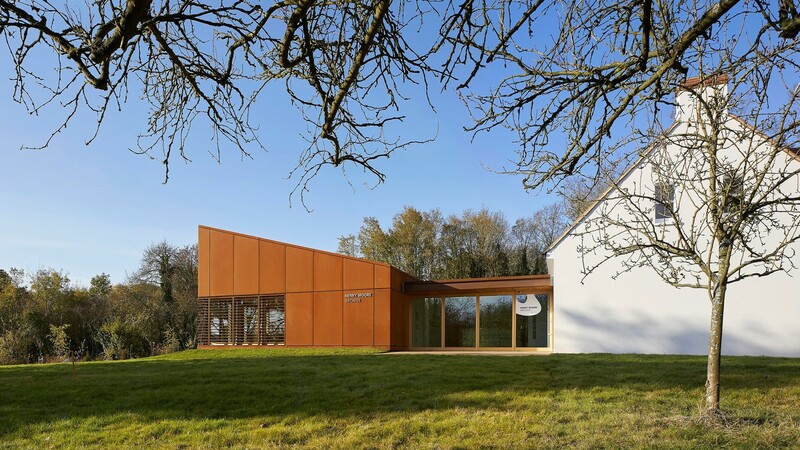 Vertical and horizontal deep joints between cladding panels produce a de-massing effect. A narrow courtyard on the West side of the building completes an arrangement described by Jay Merrick in the Architect’s Journal as ‘…a very successful and mannerly overall composition, which looks interesting from all angles’. Heating and cooling are provided through a ground source heat pump and plant is shared with Dane Tree House.